We personalise each voucher with the recipients name and can add any personal message you may wish to have printed onto the voucher. Vouchers range from £30 to £200 in value. Contact us if you wish to order a voucher for a custom value. Can be posted to you or sent direct to the recipient's address. Shipped via Royal mail 1st Class post within 24 hours from ordering. Email vouchers are also available. Any outstanding value will be credited for use in future purchases. 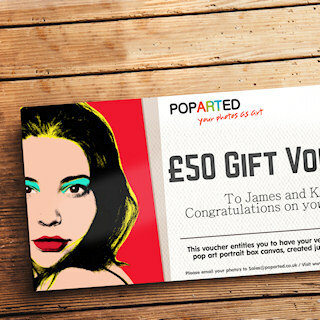 Our gift Vouchers do not have an expiry date.